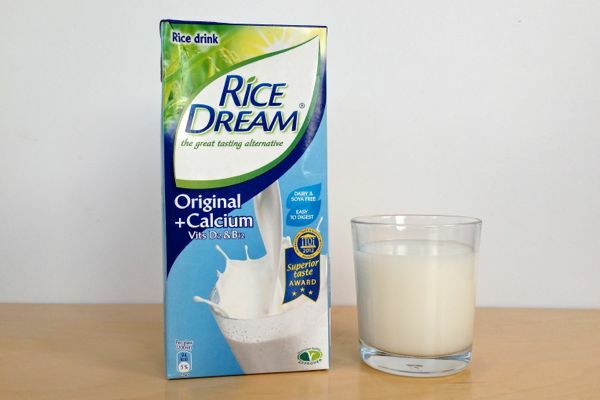 Rice Dream has been produced since 1971 and is still unbeaten as the best rice milk available. It now has some younger siblings in the form of Oat Dream and Almond Dream. The Dream brand (Hain Celestial) doesn't have quite the same penetration in the UK as Alpro does, and we had to order these milks online. Tesco list Oat Dream on their website, but it isn't available at the moment. Having got our hands on them, are the oat and almond milks just as good as the rice milk? Almond milk is everywhere at the moment and there are two schools of thought on the recipe - low or high almond content. Just like the Alpro nut milks we reviewed yesterday - this is a low almond content milk at just 2.5%. 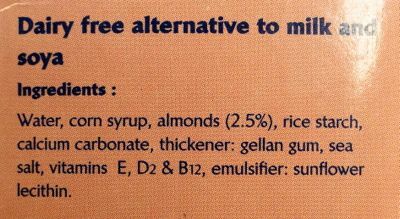 Sugar again comes higher on the ingredients list than almonds, this time in the form of corn syrup. The thickness is instead provided by gellan gum. The upshot of this recipe is a distinct lack of an almond taste in the end product. Whether that's good or bad is up to you...the neutral taste makes it more versatile. 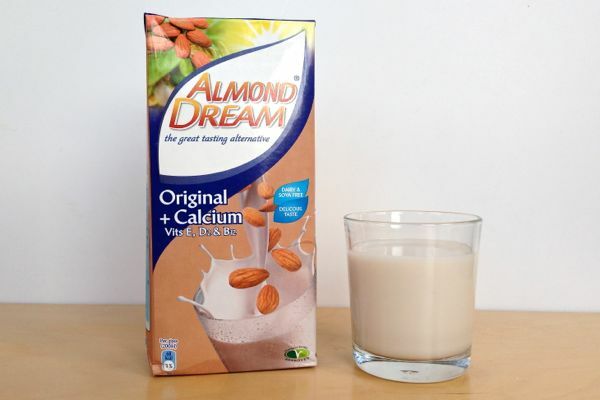 This milk is pleasant enough, but no better than other supermarket brands of almond milk. 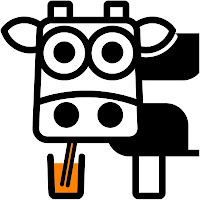 Oat milks are not yet very popular, but there are a few on the market to compare this to. 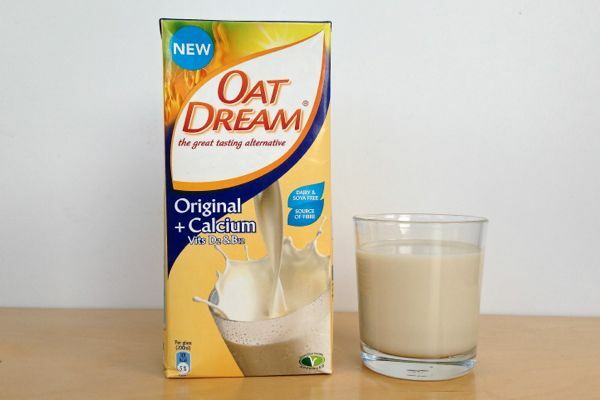 Oat Dream has a milder flavour than other brands - less of that porridge taste. We think this is an advantage in the case of oat milk. The flavour of this is actually really close to Rice Dream...which is a very good thing. Rice Dream is sweetened by fermentation rather than sugar, and we think they've done the same with Oat Dream, as it is sweet but has no added sugar. 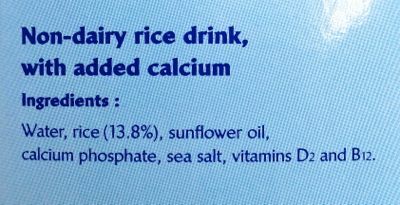 Despite the high 12.5% oat content, this won't replace soya in your cup of tea, as doesn't have quite enough body. It would probably make a good latte though. Rice Dream, what can we say. The best rice milk by a long way. Others have tried to imitate its incredible smoothness, it's natural sweetness, its lack of grittiness and its all round deliciousness. 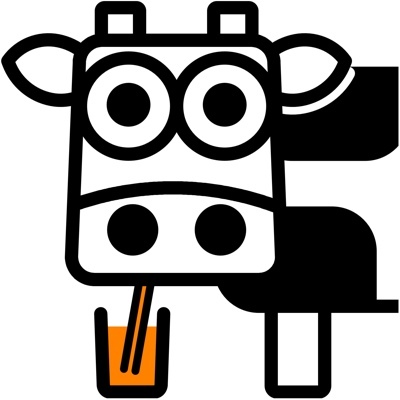 It's true that it's no good at all in tea or coffee, but for drinking chilled from the glass, there is no better milk on the market. 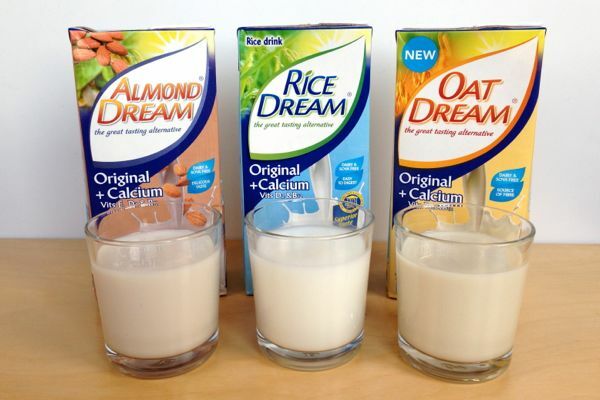 If you want to prove that plant milks are better than dairy milks, give someone a cool glass of Rice Dream...it really is that good. We're going to have to split the scoring here, for the incredible Rice Dream, the really great Oat Dream, and the pretty good Almond Dream. We wish Hain could work their magic just a little harder on the almond milk. Then they really would have the Dream Team. A quick look on Hain's website reveal that in the US, you guys also have Coconut Dream, Soy Dream and Spelt Dream. We'd love to get our hands on those too at some point!